Description Photo is in the History of the Methodist Church scrapbook, loaned by Helen Grigg. Same as images 15 & 5694. 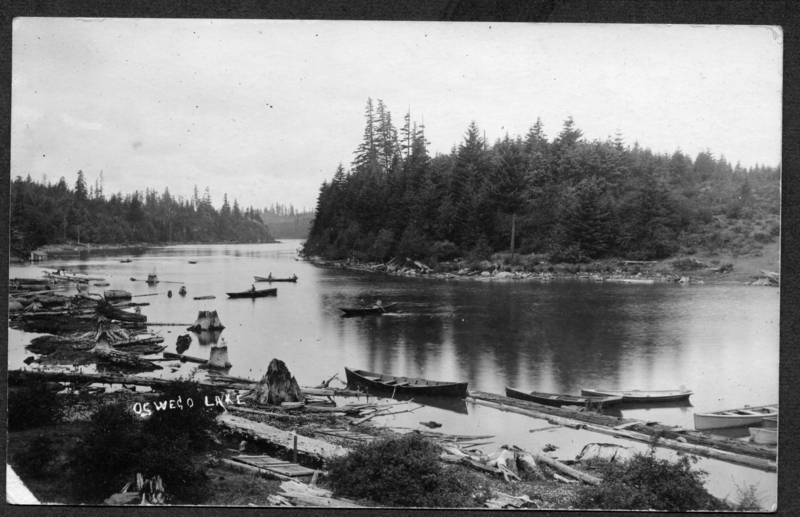 This is the East end of Oswego Lake looking West. Wooded land on right is the present Lakewood neighborhood.